This is a monthly opportunity to get to know some of our runners a little better, and first up is Dan, who is often the first to welcome and introduce himself to new runners. My name’s Dan, I make music (under the name Flameholder) and I’m a part of CDF Runners. So I went out with my old games teacher’s words stuck in my head – “If you want to enjoy running, run at a speed that is too slow for you.” I started running with the rules that I’d run too slow and stop whenever I wanted to. That run/walk approach worked and in the end I stopped wanting to stop. I only ran casually but as with anything that calls you in life I didn’t like the idea of letting it go so when my friend Anton told me Nike had a free running club I wanted to get into it properly. We went to the local store and met the Team GB 3K steeplechaser Ieuan Thomas, who started the club with UK Athletics coach Fran Baker. The club later became CDF Runners and now it operates from Moti in Queens Arcade, Cardiff. It was fun. Really fun. Upbeat. I think I came in at the time when the club really started to grow to be more of a family and I’ve loved it since. The energy of it is social rather than being how fast you can run. So many people come through it and everyone’s different but everyone gets on. I’m like, allergic, to traditional downbeat British self-deprecating behaviour and there’s something about running that successfully cuts through that, it forces positivity into people. I’m doing it on a diet of plant food and I find it fuels me amazingly. I’m consumed with fascination, I have to know how fast I can go. It’s cool when you start running how you learn from experience what kind of running suits you. I’ve joked that I’m just a frustrated sprinter before but I don’t really want things to be over in 15 seconds, I want something I can get into and I’ve found I like running everything from 400 metres to 10K for a long run; I’ve realised speed endurance is exciting to me. I do like doing Cardiff Half Marathon once a year though because it’s such a great event but I have a passion that I’d like to see more adults doing shorter distance running. More power to anyone who wants to do a marathon, it’s amazing strength that I don’t have but I think most people’s tendencies towards longer distance is purely traditional. Most of the buzz for me is just training like an athlete is so cool. We obviously don’t train the same as elite athletes but we do proper sessions that they would do and I’ve come to think that doing activities with other people is really satisfying because you know every one of you is getting something out of it. I love seeing the way people will give a lot of time and passion (sometimes all of themselves) to something that’s not for money. I think if you’re not using yourself physically, mentally and spiritually you won’t feel alive, running takes care of the physical but also reaches the other parts of that triangle. And what’s really at the heart of why we do it? I don’t know, follow your bliss. Big respect to all our coaches past and present, especially Jon Harrhy. You are run club. Want to be Runner of the Month? Of course you do. Doesn’t matter if you started running last week or last century, we want to know all about you.  Email cdfrunners@gmail.com or let us know in the Facebook group. On Mondays and Wednesday we meet at the Moti store in Queens Arcade, Cardiff, ready to leave at 6.30pm. On Sundays we meet at Sport Wales in Sophia Gardens, ready to leave at 9.30am.